Moon's intimate portraits capture a startling range of emotions and personalities, underscored by excerpts from literature. A martial Spanish White Face is flanked by a passage from Beowulf; a fantastical Buff-Laced Polish, by a line from Alice's Adventures in Wonderland; and a refined Blue Polish, by a character sketch from Swann's Way. 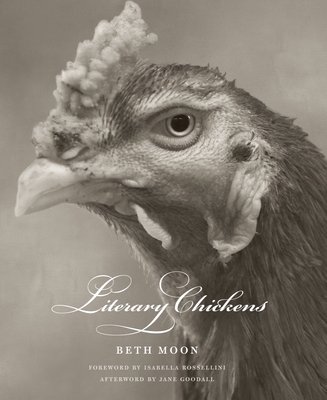 An essay by chicken keeper and best-selling author Melissa Caughey and cultural critic Collier Brown sheds additional light on this fresh and remarkable body of work, which will appeal to animal lovers and literature buffs alike. Melissa Caughey is a backyard chicken keeper, beekeeper, gardener, and cook who pens the award-winning blog, Tilly's Nest.